Samsung, as you might be aware of, is still among the handful of manufacturers who have not yet jumped into the notch bandwagon. The company is looking at its sight beyond that by planning to incorporate the sensors under the screen. A few days in a leaked presentation it was revealed that Samsung is internally testing prototypes for devices that might incorporate sensors like proximity sensor, microphone, speaker and even the camera under the screen. In the teaser that Samsung dropped for the Galaxy A8s, it seems the device would be the first all screen device from the South Korean smartphone giant and may very well truly be the first to incorporate some of the sensors under the screen. 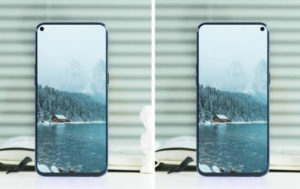 The hole may house the front camera, proximity sensors other related sensors and may thus come with a high screen to body ratio with ultra-thin bezel display. What might be interesting to see is how Samsung would try to differentiate this hole in the screen from a traditional notch, after all both may hamper the content being projected on the screen while binge watching Netflix or YouTube. The possible workaround is that the company might be providing technology wherein the screen hole would get covered while consuming content and unlock while the camera is being used, in somewhat a sliding camera sort of way. Samsung is starting to take the Galaxy A series as a sort of testing ground for their new features, with the series getting triple camera setup before their debut on the flagship S or Note series. 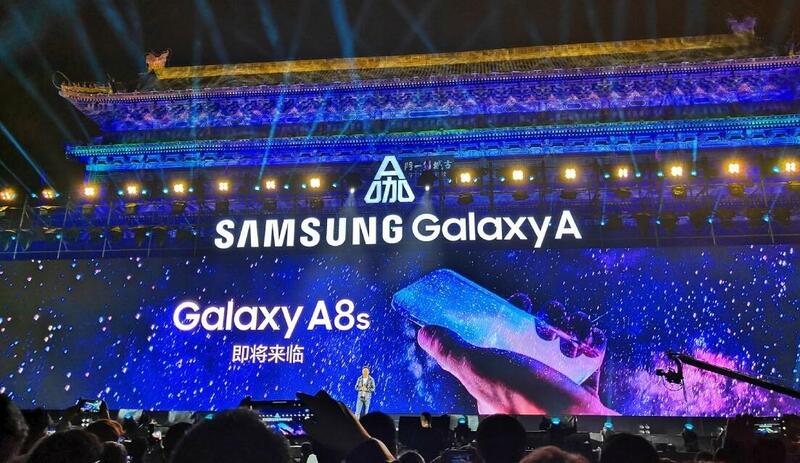 The Galaxy A8s may very well be a similar device with some new groundbreaking technology for Samsung to test and evaluate consumer opinion before refining it for their flagship offerings.